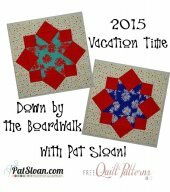 Download Vacation Time BOM Materials List and Block One Pattern! Click Here to download the PDF of the pattern for Block One: Down by the Boardwalk. 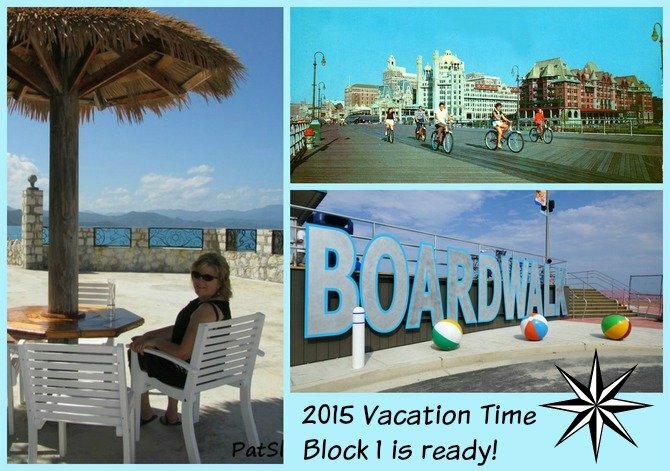 At the Boardwalk is a tribute to all the incredible ocean front and lake front Boardwalks that create such a great relaxing vacation for us. What do they have? Shops, places to eat, and.. my favorite, people watching. Now days many have sunset shows, like the famous Mallory Square in Key West FL. Our first block is a star. And I've designed it with a flying geese unit. 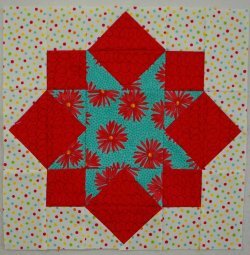 In the pattern (download above) I will teach you a super simple way to do this block. 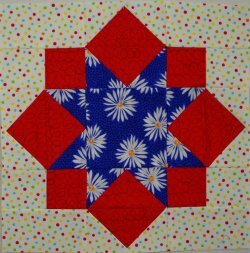 I am also giving you a SECOND option of making the star with Half Square Triangles (HST). You will see directions for Option 1- Flying Geese method. and Option 2- HST method. And I'm making the quilt in TWO colorways so you can see how a simple change of ONE fabric color makes a difference in the final quilt. Also, visit my post about Block 1 where I give you a little insider look by clicking here.